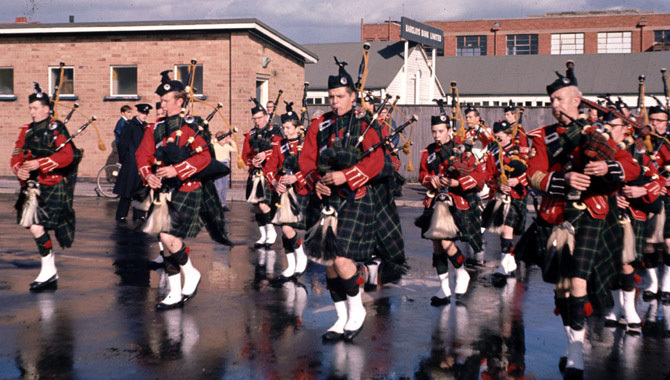 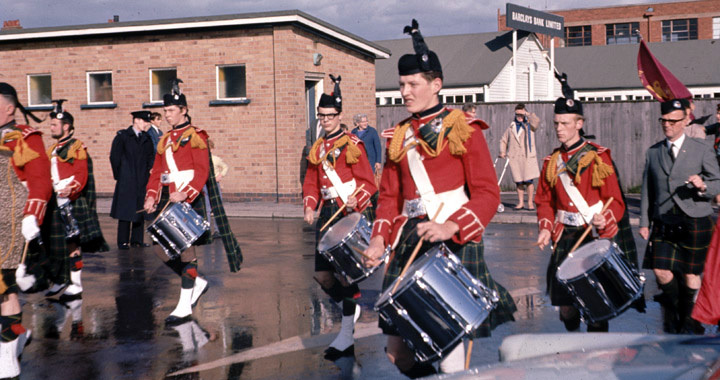 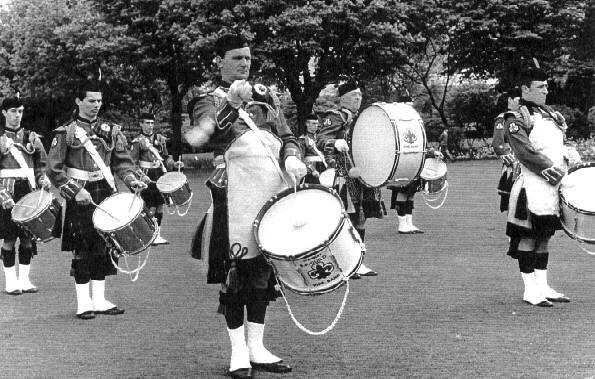 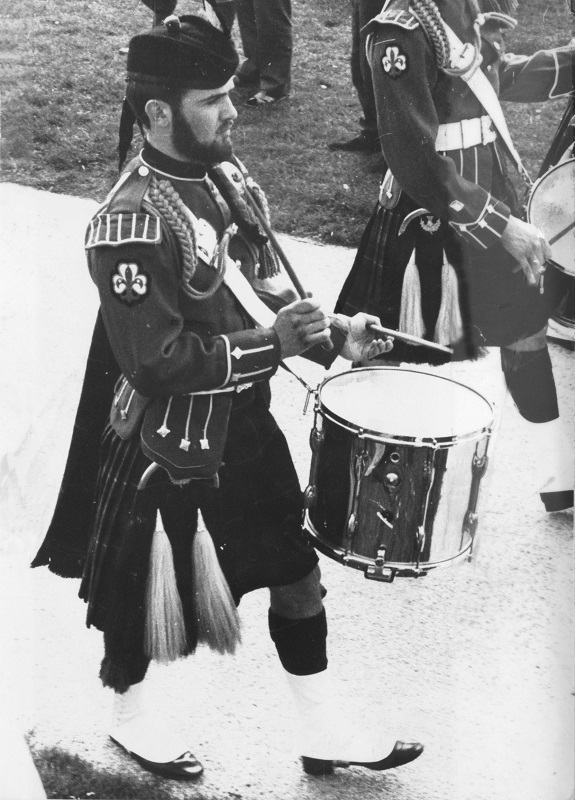 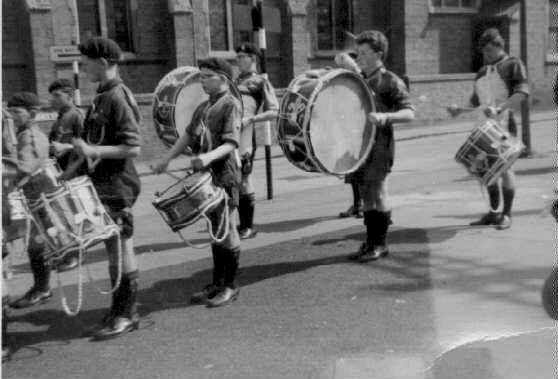 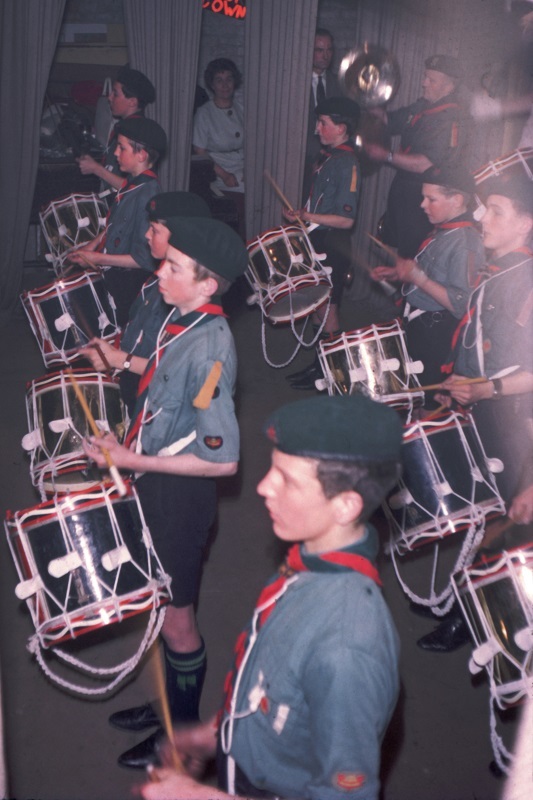 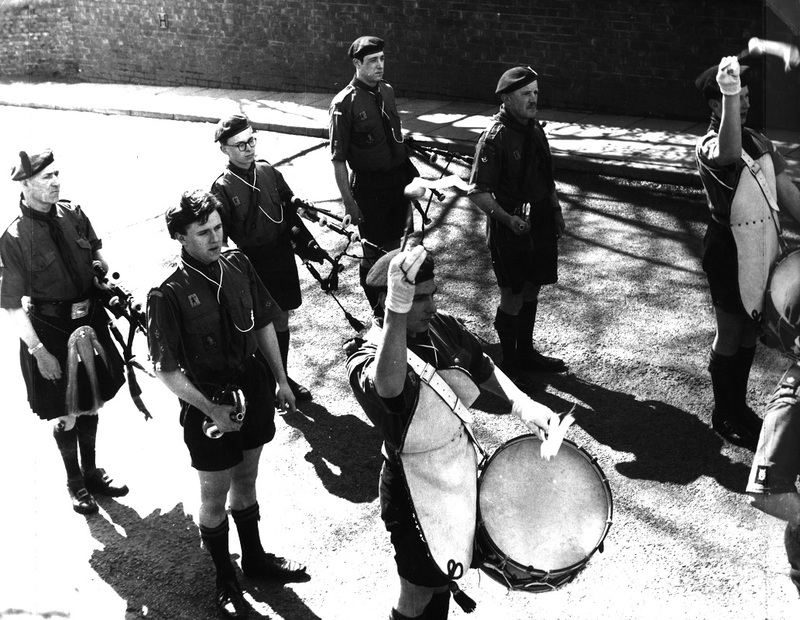 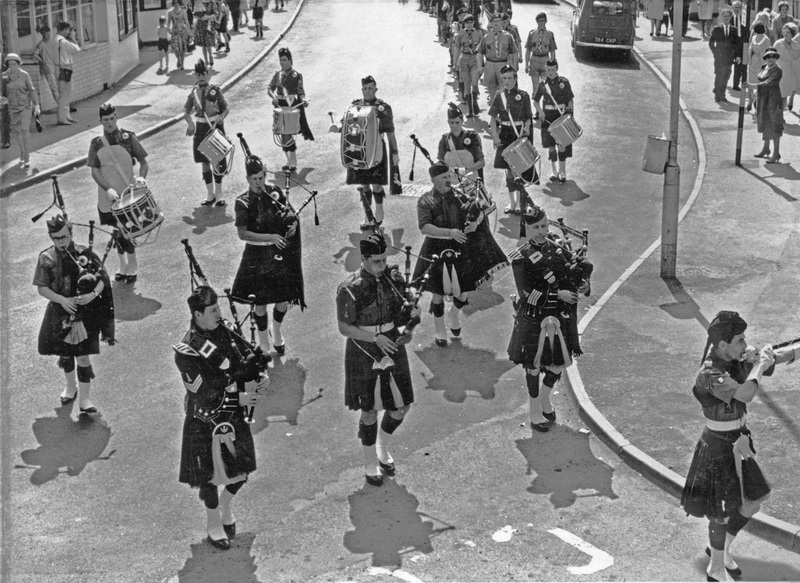 During the 1960s we evolved from a Drum and Bugle Band to a Pipe Band, the uniform starting as traditional Scout uniforms, to which we added kilts, sporrans, spats, tunics etc as funds permitted until we reached the basis of the No1 uniform we wear to this day. 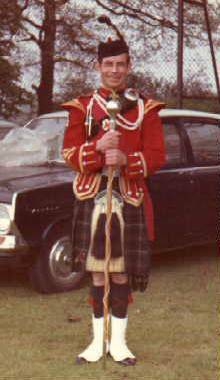 Near the end of the decade we were augmented by a Highland Dancing team formed mainly from the girlfriends of band members. 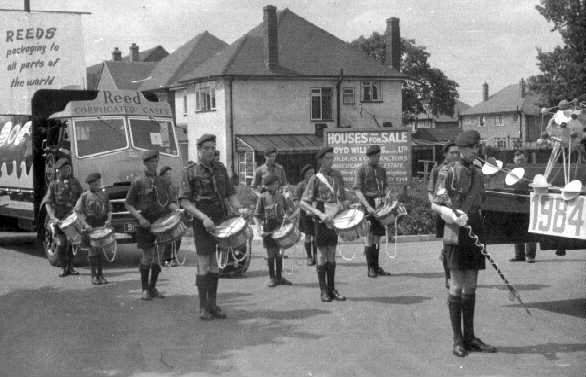 Drum Major Mick Mason serves tea to the Mayor of Solihull and guests. 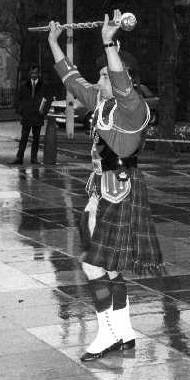 Pipe Major Dave Frater and Olive are watching in the background. 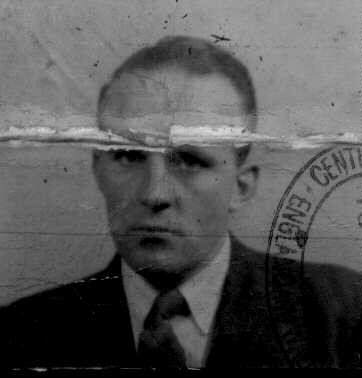 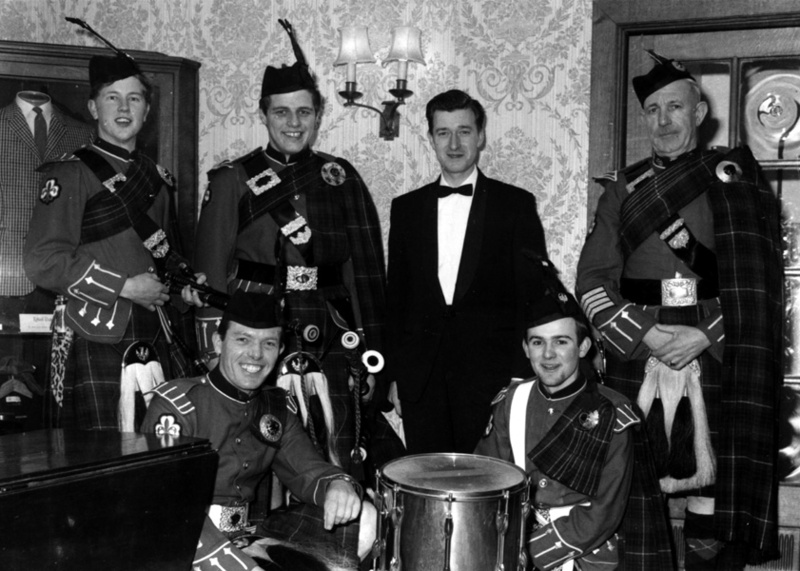 Robert Phillips, Andrew Jones-Murrell, Paul Thomas, Cyril Handy, John Fear, Harold Ricketts (Bass), Dave Frankton (behind Bass), Malcolm Bates, Barry Evans. 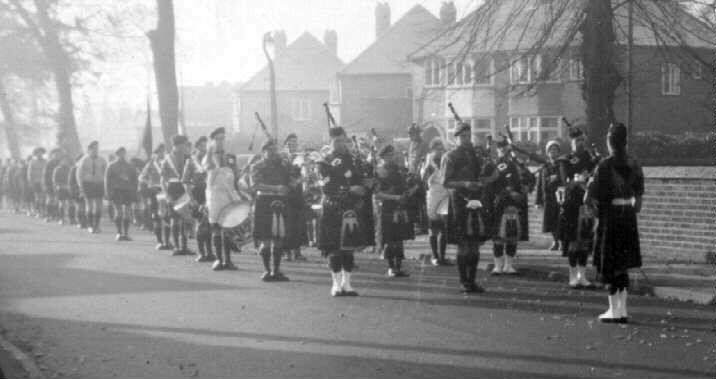 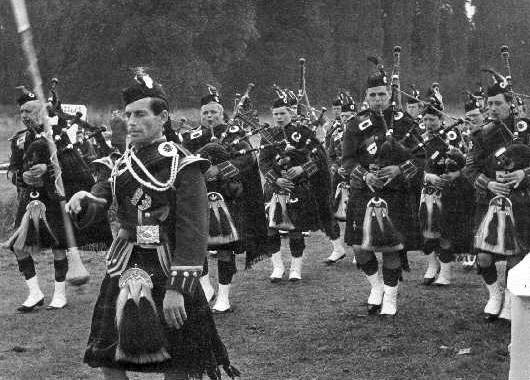 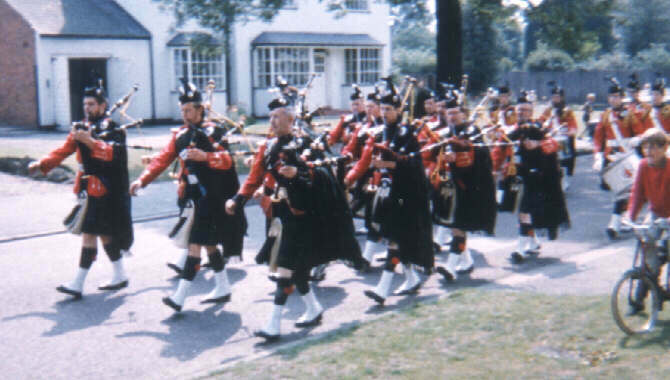 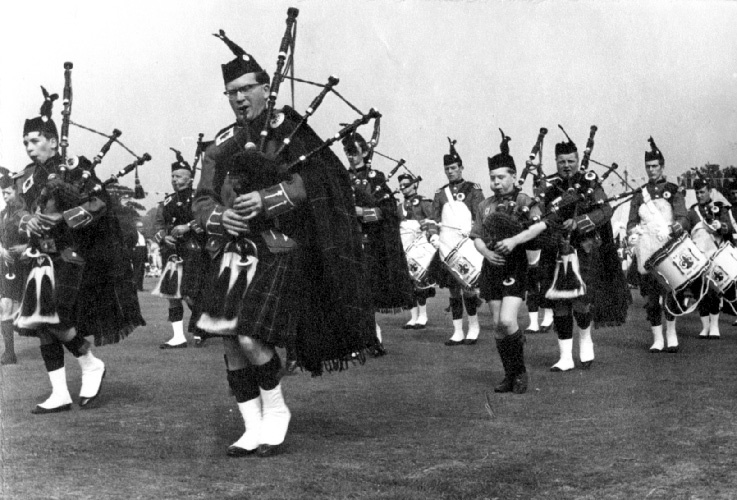 Drum Major: Mick Mason Pipe Major: Dave Frater, then Derek Green, Albert Hope, Chris Hughes, Jon Hughes, Bob Fear, Bill Baird, Dave Mellor, ?, Ron Wheeler, Harold Ricketts (Bass), ?, Neville Cross, Steve Catch, ? 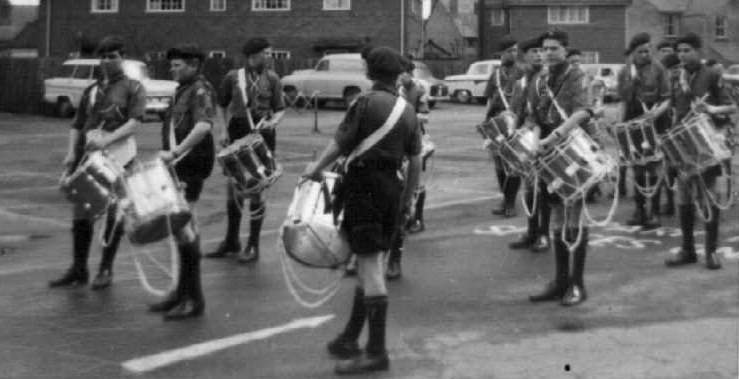 When we progressed from Scout shirts and neckerchieves to wearing tunics we became known as the 1st Shirley B.P. 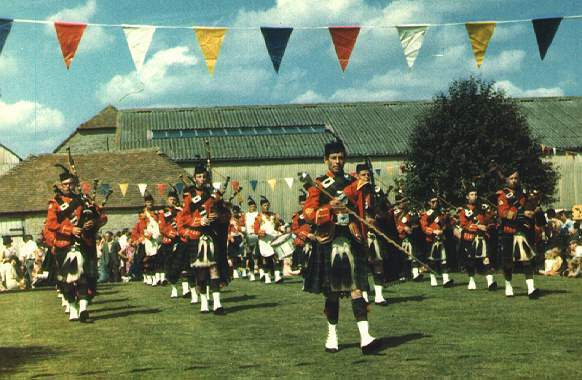 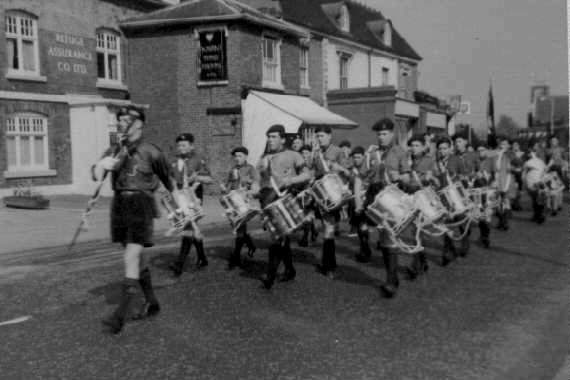 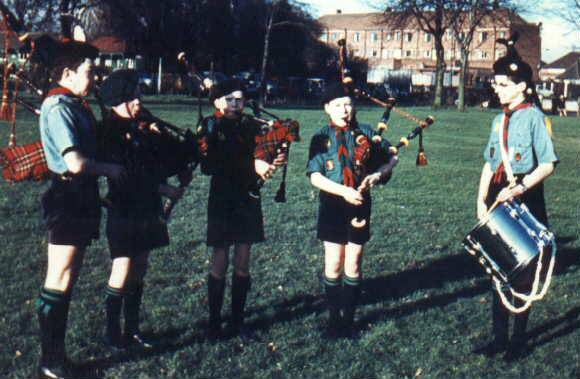 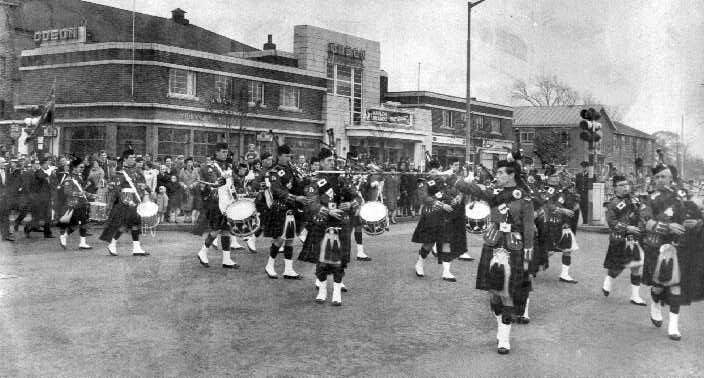 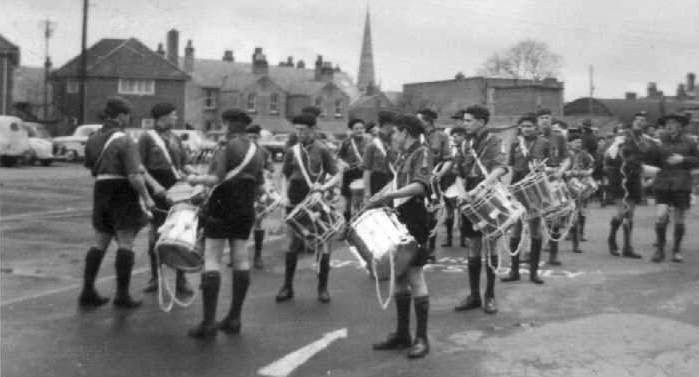 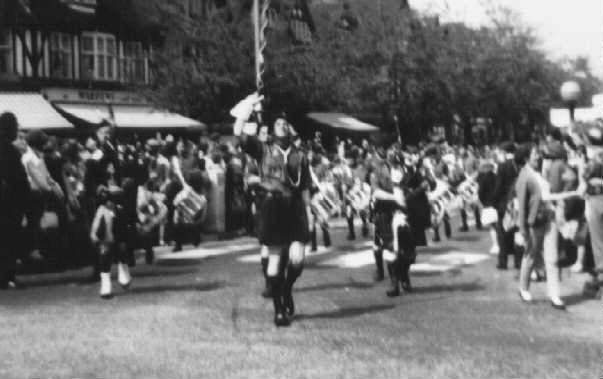 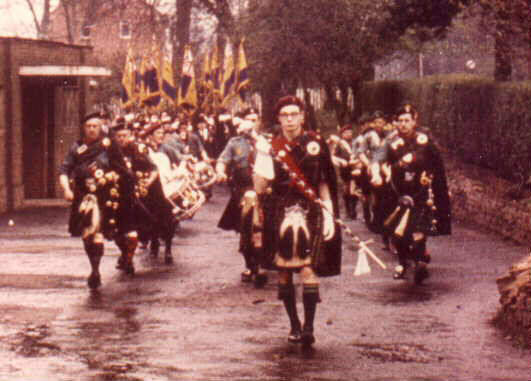 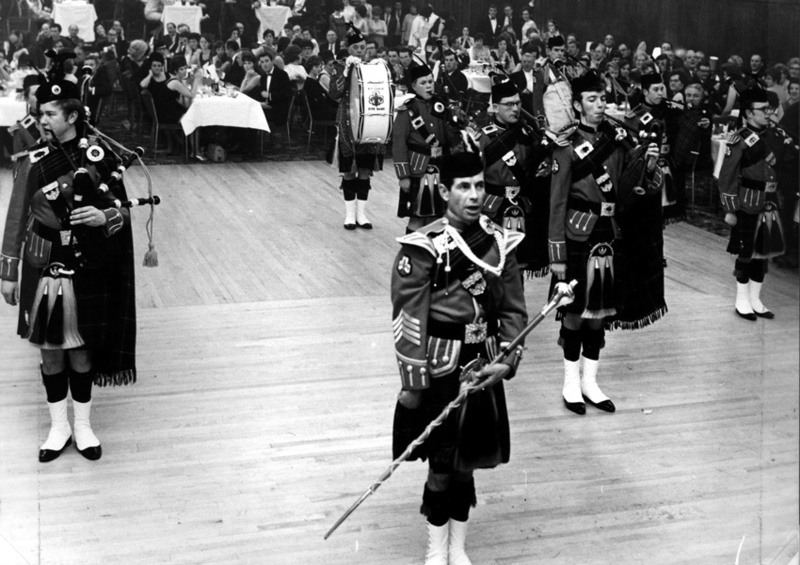 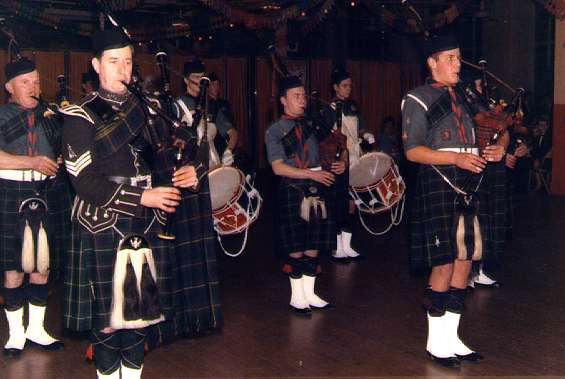 Scout Guild Pipe Band, retaining that name until 1978. 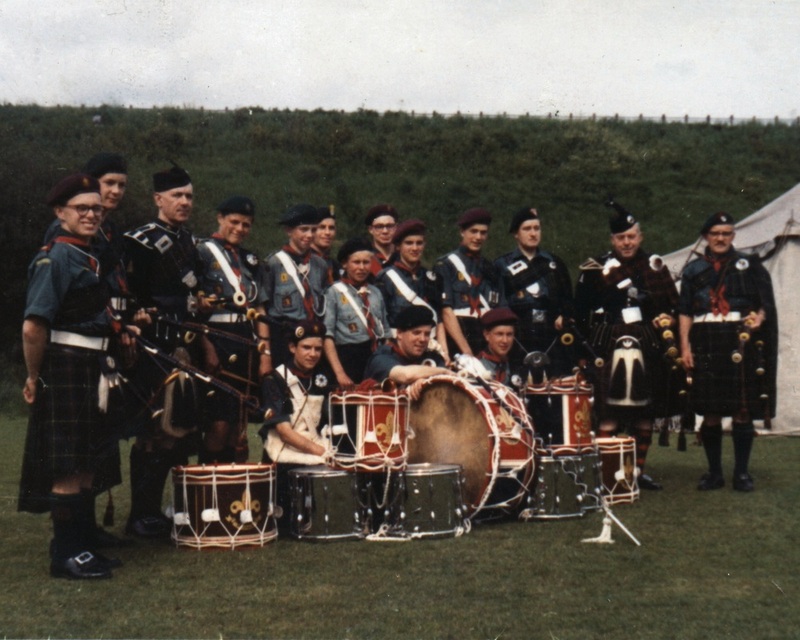 Andy Cross, Derek Green, Ron Wheeler, ?, ?, ?, Neville Cross, Mick Mason (Drum Major), Chris Hughes, Dave Frater, ? 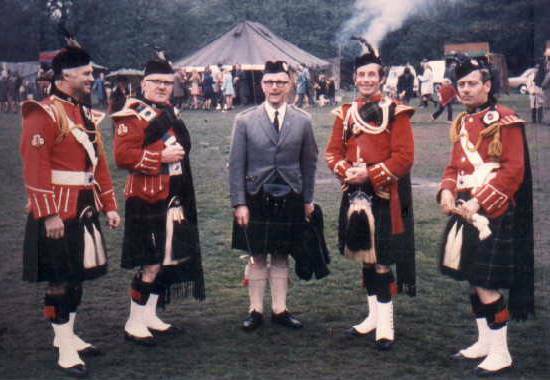 Unknown, Grahame Mellor, Paul Arnold?, Bob Shorthouse?, ?, Graham Sandford (bass), Chris Brown? 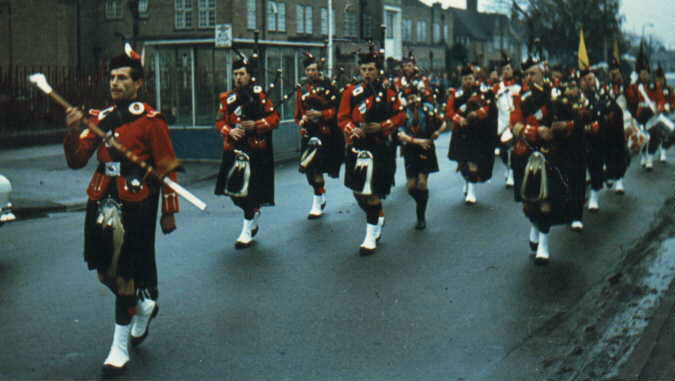 Andy Cross, Steve Catch, Keith Bayliss?, Neville Cross (behind), Jon Hughes, Derek Green or Colin Bullock?, Bernard 'Bernie' Berry, Paul Arnold, Pat Lane (behind)?, John 'Bushy' Clark, Derek Green or Colin Bullock?, Phil Bayliss?, John Fear, David Carrington (behind), Dave Sheldon?